The Canon L100 printer is designed to meet the needs of a home or small office. 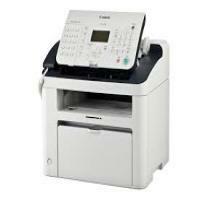 It combines the features of a laser fax machine, laser printer and digital copier into one durable machine. The printer weighs around 9kg and this compact device measures 400mm wide, 326 mm tall, and 580mm deep making it a space-saver for small desktops. The printer is integrated with a sheetfed scanner and a laser beam printer with a 30-sheet automatic document feeder and a sufficient memory that lets it able to print up to 12ppm. The control panel lies to the right-hand top corner of the frame. It includes a small display screen and a numeric keypad for providing different functionalities. The printer has a quick first print of approximately 8 seconds and the print comes out at speed of up to 19 pages per minute. It can have a monthly duty cycle of 8000 pages with Canon L100 toner cartridges.The printer has a paper handling capacity of up to 150-sheets in the standard tray and up to 30-sheets in the automatic document feeder. Fax features include 130-speed dials, 30 one-touch dials and 100 coded dials. The printer also has a 512-sheet fax memory and it comes with a standard telephone handset.The printer sports a stylish redesign and incorporates the latest fax capabilities, including a 19 page per minute laser print engine and a brand new copier function. With the use of Canon L100 toner cartridges, the printer will provide one with the quality laser performance that is required for today’s office environment. The Canon L100 is aimed at offices and busy professionals that are looking for a speedy and efficient fax machine. It is easy to use due to its simple design and has a minimalist interface. While users can enjoy the additional features that make it more efficient for the small office, the printer is merely a fax machine with laser beam printing method and nothing more. Q. Even when I give the command for print in my Canon L100 printer, it does not start printing. Why is this happening? Check the power plug of the printer. If it is not secured properly then do it in the correct manner and start the printer again. Check the printer connection with your system as well. It should be properly connected or else the printing will not happen. Try restarting your system and then start printing. While doing so check that Canon L100 is selected in the device section. If you are trying to print a very large data file then the printing will not be possible. You will have to reduce the size of the file and then try printing. Q. What is the input tray capacity and ADF capacity of this printer? A. The input tray capacity of this printer is 150 sheets and ADF capacity is 30 sheets. Q. I want to order a multipack of Canon L100 toner cartridges from your site. What payment methods do you accept? Q. My Canon L100 toner cartridges are all empty. Can you provide urgent delivery of Canon L100 toner cartridges at Glasgow? A. All our orders are delivered by Fastway Couriers and your order will require a signature on delivery. Approximately 90% of our orders received before 12 noon daily are despatched same day (subject to stock levels) and delivered on a 1 - 2 delivery day basis with Fastway Couriers. Call us on 048 30833221 to check stock if your order is urgent. Q. I am going to bag a big project for which I will have to print documents in bulk. I'd need a good toner cartridge that helps me print fine quality documents really fast. Would you recommend Canon L100 toner cartridges for my Canon L100 printer? A. Absolutely. These toner cartridges are equipped to get the printers they’re compatible with, especially the one you own, to print perfectly crisp and professional-looking monochrome documents very fast. Since you will be printing sheets in large numbers, you will also be saving an astronomical amount of money if you choose compatible toner cartridges of the same model. Q. Are compatible Canon L100 toner cartridges easy to install or would the procedure involve additional steps as they are recycled and not genuine? A. Installing compatible toner cartridges is easy and you shouldn’t find any hitches while installing them. Please follow the simple installation steps available in the user manual or from the how-to guides you will find on the internet. Q. Are compatible Canon L100 toner cartridges tested before being sold like genuine toner cartridges? A. Yes, compatible cartridges are always put through strict quality tests and only then packed for sale. Only cleaned and tested recycled parts are used in making them, and that’s why we guarantee quality and savings on them. Also, they are manufactured from original toners by following ISO standards, so you can be sure they will perform as well as genuine toner cartridges. Q. How many pages can I print in black with the compatible Canon L100 toner cartridges in my printer? Will their output be as good as that original toner cartridges?